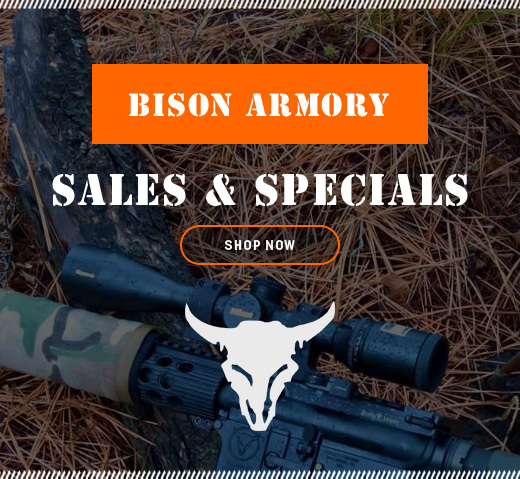 Bison Armory is based in the town of Washougal, in southwest corner of Washington State. We moved here from up north in Bellingham, after starting out in Seattle, so we have covered most of western Washington in the past 10 years. We started our business in 2008 to serve AR-15 enthusiasts using 6.8 SPC (6.8 x 43mm) ammunition, introducing our own line of barrels and offering accessories from the best in the business. We soon moved into building semi-custom uppers and lowers, and in 2011 expanded to include builds, parts and accessories for our 7.62 x 51mm BR-X (7.62 NATO) line. In 2012, we introduced the 6.8 BSP (Bison Subsonic Platform), an industry first that features a 16” barrel with a high twist rate to stabilize both our custom 200 grain 6.8mm bullets at subsonic velocities and standard full power 6.8 SPC loads. In 2013 we rolled out our .223 Wylde lines of barrels and uppers, and in 2014 brought you 300 Blackout barrels and uppers. In 2015 we created our Fulcrum line of barrels as another industry first, putting heavyweight performance into a mid-weight barrel. In 2018 we introduced our 224 Valkyrie line with 6.5 Creedmoor coming soon.